“Nine days without rum, bro.” That was the most common remark I heard during my recent trip to Havana about Fidel Castro’s passing on Nov. 25. When he died, the government banned sales of alcoholic beverages and all kind of celebrations – even private parties – during the nine days of official mourning. Some people were detained and had their boomboxes confiscated for playing loud salsa or reggaeton when they were supposed to be officially sad. 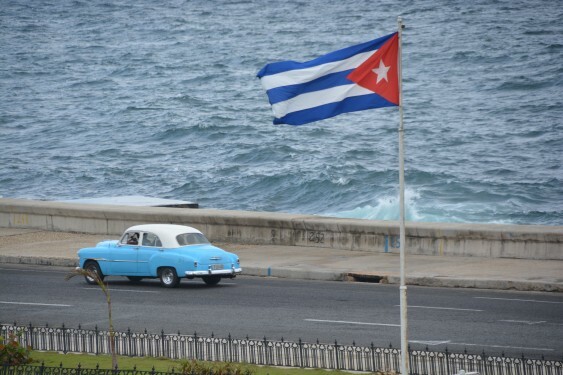 I arrived in Cuba Dec. 18, two years and a day after the U.S. and Cuba reestablished diplomatic relations and less than a month after Fidel Castro’s death. The first change I noticed was the trip itself. 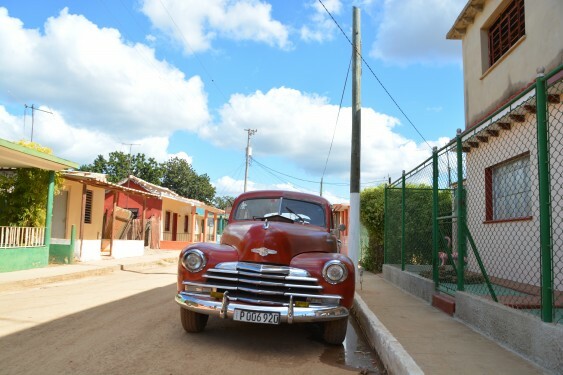 Seven years ago, when I traveled to Havana on a charter flight, the plane ticket was $950. It was expensive but there were plenty of “amenities” included – I spent four hours waiting in line at Kennedy Airport just to check my luggage. Then I spent five hours inside the plane, on the tarmac, waiting for departure. The passengers were all Cubans except for an older American couple who lived the whole ordeal with a mix of otherworldly perplexity and saintly patience. This time I took a JetBlue JFK-Havana regular flight. The plane ticket was $475.16 and the vast majority of the passengers were Americans: college kids and families. The whole check-in and boarding process was pretty standard. By the time I boarded the plane I was having a serious case of cognitive dissonance. 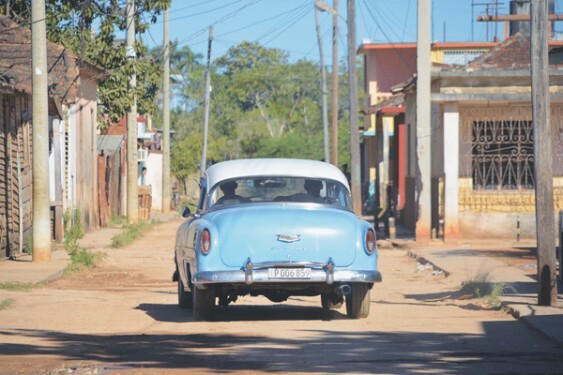 Was Cuba becoming a normal country to which you were able to travel in normalized fashion? An hour waiting for my luggage at Havana Airport didn’t spoil my hopes – I’ve seen worse arriving at JFK. 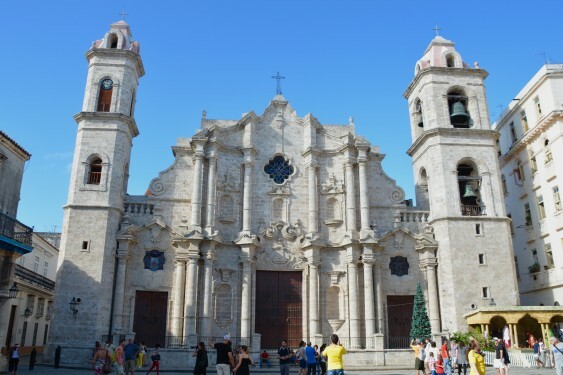 Since the reestablishment of diplomatic relations with the U.S., President Barack Obama visited Havana and Pope Francis visited the country twice. 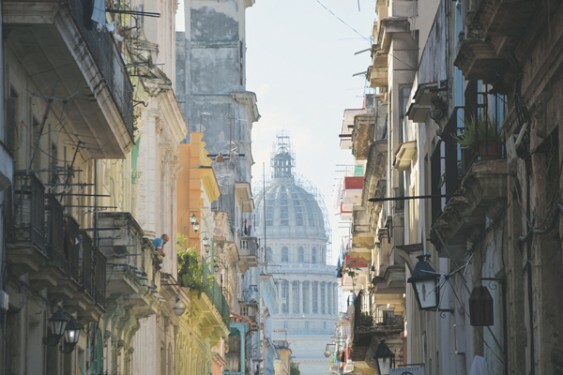 Recently, the European Union has abandoned the Common Position, which established that “the objective of the European Union in its relations with Cuba is to encourage a process of transition to a pluralist democracy.” Apparently, Cuba is now seen as a normal country, not as an island ruled by a 60-year old dictatorship. There was good news on the financial front too. Cuba’s creditors – from Russia to Mexico to the Paris Club – have forgiven the Cuban Government some $45 billion in debts. At the same time, tourism has exploded – from three million visitors in 2015 to more than four million in 2016. 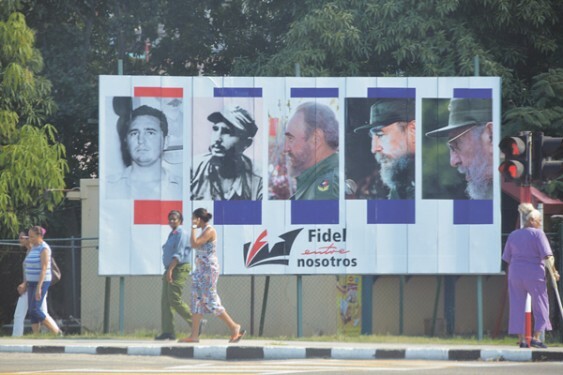 But the only thing new I noticed during my first stroll in Havana were the “Yo soy Fidel” (“I am Fidel”) posters. That was the most repeated slogan during Fidel’s funeral and now you find those posters everywhere. Pretty much the rest looked the same. In El Vedado, one of the most fashionable sectors of the city, half of the houses and the vast majority of sidewalks are still in ruins. All gas stations belong to the government. They buy oil from Venezuela at a discount sponsored by the bankrupt Bolivarian Revolution, and sell it at the pump for $4 per gallon. You would think they are very interested in selling gas – but you’d be wrong. One morning our car needed fuel and we had to visit four gas stations before finding one that actually had gas for sale. 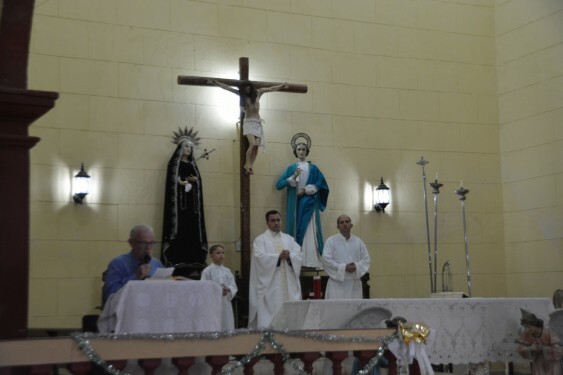 On Dec. 24, I went to “Midnight” Mass at my old parish in the little town of La Salud, 25 miles south of Havana. The Eucharist was celebrated at 9 p.m. because the priest was supposed to celebrate three Masses in three different towns that night. Some 150 people were at the church, just about the same as in the early 1990s, when I left. There were no public signs of Christmas to be seen. 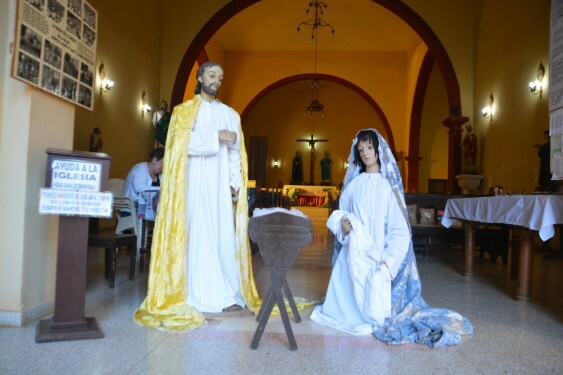 Christmas celebrations were forbidden in Cuba since 1970 until St. John Paul II’s visit in 1998. Now Christmas is a holiday again. But obviously, decades of harassment have a lasting effect. The revival of the ’90s, when church attendance rose significantly, seems to be over. But the presence of the Church has grown in other ways. 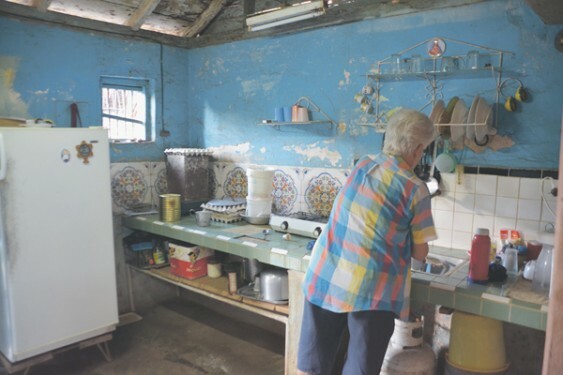 In my old town, the local parish serves daily breakfast for 40 of the poorest people of the community in the parish house, which looks like it is going to collapse at any moment. The people working there are volunteers. They practice what could be considered “suicidal charity.” All the money they can get goes to the poor, while the parish house crumbles over their heads. In Havana, I visited the Felix Varela Cultural Center, where Pope Francis met Catholic youth during his visit. 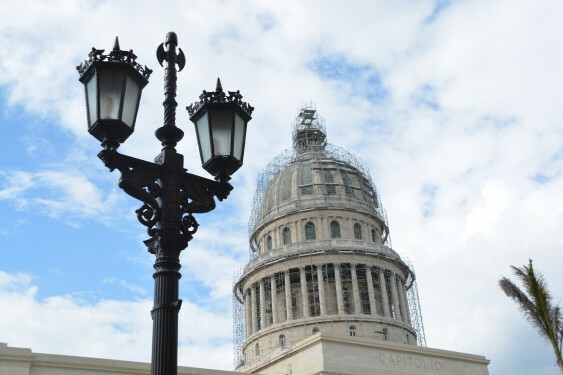 Among many other things, the center is an attempt to reestablish the Catholic University that was closed by Fidel Castro at the beginning of his regime. 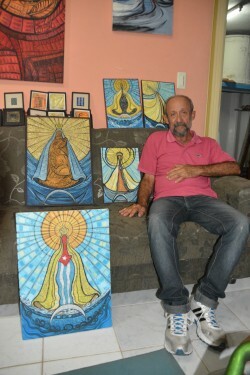 It offers college degrees that are recognize by several countries – but not by the Cuban government. 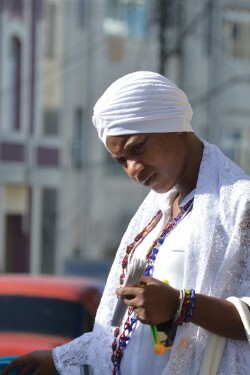 The church-sponsored breakfast in La Salud and the college courses at Centro Varela in Havana are tolerated, but not approved, by the government. It is in this gray area where the local church tries to accomplish its mission. “Nine days without rum, bro” was the slogan repeated by people who find it hard to face their reality while sober, and have no practice at thinking about the future that lies more than a week ahead. Raúl Castro’s speech won’t change their perspective. 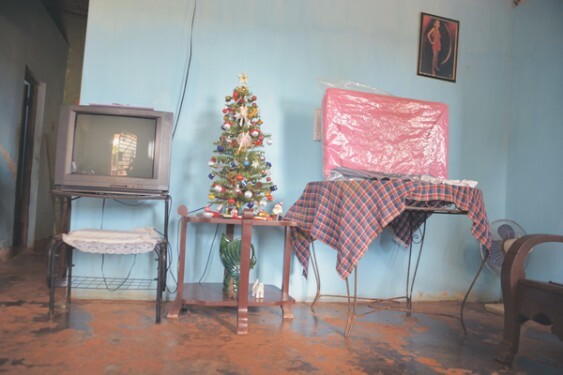 This first Christmas in Havana after Fidel was a reminder that the end of the American embargo won’t change the basic fact that Cuba’s Communist economy doesn’t work. And that it will take a long time to heal the spiritual damage caused by half a century of totalitarian monocracy.